Have you ever read or listened to a book that leaves you questioning what you would do if you were thrust into a similar situation? A previous Oprah’s Book Club pick, An American Marriage, left me feeling bereft as the situation presented is entirely plausible. This book’s discussion of how while you may control some aspects of your life, outside forces have the power to sweep in and destroy your best laid plans shook me as I watched the characters’ lives play out. 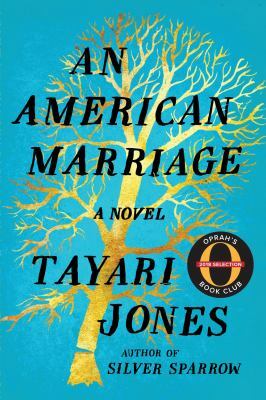 An American Marriage by Tayari Jones follows the lives of Celestial and Roy from newlyweds and beyond. Roy is a young executive, while Celestial is a burgeoning artist just starting out on a new career path. Roy works hard so that Celestial can grow her art. Just married, the two are working on starting their new life together, getting to know each other’s families more, and settling into what they hope will be a long, happy life together. Stuck in a hotel one night, circumstances converge to tear Celestial and Roy’s happy life to shreds. Roy is arrested and sentenced to twelve years in prison. Celestial knows it’s not possible that Roy committed the crime for which he was arrested. All through his trial, Celestial and Roy do not believe that there is any way Roy will be found guilty, but lo and behold, he is sentenced to twelve years. Their lives as they once knew them are over. Celestial was independent before Roy came along with a fierce independent streak that ran rampant throughout their marriage. After Roy goes to jail, Celestial finds it hard to cope and is left at a loss. As a result, she turns to her best friend Andre. Andre was the best man at her and Roy’s wedding and grew up alongside Celestial. Their fierce and close bond sometimes annoys Roy as he feels they are too close to each other. The longer Roy is in prison, the worse he and Celestial’s relationship grows. Communicating through letters and seldom visits, Celestial realizes that the love that once held her and Roy together has begun to dissolve. Celestial turns to Andre more and more as the love disappears and her relationship with Roy shifts. Celestial and Roy’s new normal is again changed five years into Roy’s sentence. After five years, Roy’s conviction is overturned! He is overjoyed to be released and see Celestial again. He heads to Atlanta ready to slip back into his previous life with Celestial. Little does he know that everything he had before prison has changed and everything he thinks he has has slipped away. This novel is a fascinating look at how each characters’ actions are intertwined, yet outside forces have a way of changing best laid plans. As I read this book, I kept thinking, ‘well just because you want it, doesn’t mean you’re going to get it’. Life will happen however it wants. 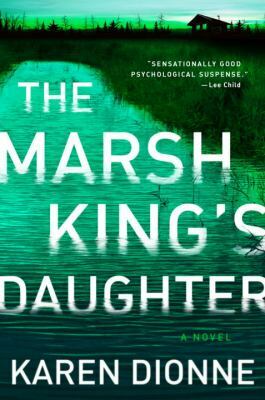 Have you ever wondered what happens to the children who are the product of an abducted woman and her captor? After the news dies down, it’s expected that the abducted person and their children get on with life. But can they really? What happens to them? I’ve always been fascinated by the aftereffects. The latest book I read deals with this issue. At the age of 12, Helena and her mother escaped, propelled into action by a series of events that thrust her father’s behavior into a new light. Their rescue made headlines, but Helena has taken great pains to make sure her past stays firmly in the past. She thought she was safe considering her father is in prison until she heard an emergency news bulletin saying that he had escaped. Jacob had found his way back into the Michigan wilderness. Deep down, Helena knows that the authorities have no hope of catching her father. She is the only one who can find him. After all, she knows his tricks. He taught her how to track and to hunt. Helena takes off into the wilderness knowing that she is the only person capable of successfully tracking her father. I enjoyed this book, especially the parts where the reader learns about Helena’s past. Readers get to see Helena’s life unfold from birth to present. This book is also filled with sections of Hans Christian Andersen’s fairy tale of the same title. The setting in this book is very well-developed and the pace moves quickly, so be sure to pay attention if you’re listening. I had to back up a few times when my mind wandered. This book was eloquently crafted and I finished it wanting more. Give it a read! This book is also available as a CD audiobook. It’s time for me to be honest. I have not read a Nicholas Sparks book since high school. The movies never caught my interest either, so I just steered clear. In order to become a more well-read librarian, I have decided to expand my comfort zone and read books I normally wouldn’t. 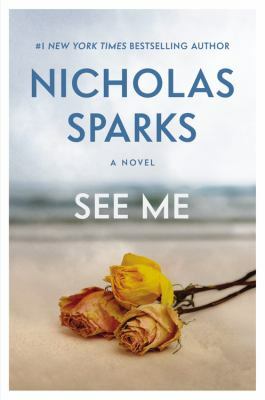 See Me by Nicholas Sparks is my latest outside-my-comfort-zone read. I started reading See Me thoroughly expecting a flowery romance with some kind of damsel in distress scenario and a dashing male hero coming to the rescue. I. Was. So. Wrong. Well sort of. 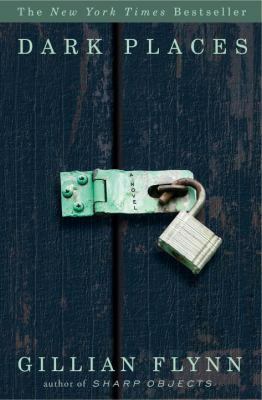 Maria Sanchez and Colin Hancock are the two main characters in this book and while they fit into some stereotypes, in other ways they completely break them. Maria is a lawyer and daughter of two Mexican immigrants who came to the US with nothing and now own a thriving restaurant. She has worked very hard to better her career with the end result being that her social life and friend circle is rather lacking. She does have a very close relationship with her parents and her younger sister though. Maria’s life is not all perfect. She is haunted by events in her past, events that ultimately led her to leave her previous job and move to a totally new town. Colin is a 28 year old college student who is struggling to get his life back on track. He works out religiously and is avoiding all the people and places that led him to destroy his life before. Colin has spent most of his life tangled up in the legal system, as a result of a major anger problem and a myriad of other issues. He worked out a deal at his last court appearance, a deal that says that if he stays out of trouble, his criminal record will be completely expunged, his felonies erased, allowing him to become a teacher. However, if Colin gets back into trouble, he will go to jail for ten years and his record will not be cleared. Colin has stayed out of trouble with help from his best friend, Evan, and Evan’s fiancée Lily. Colin and Maria have a chance encounter one rainy night on a highway in North Carolina. Maria tells her younger sister, Serena, about the man who changed her tire and Serena realizes that Colin is one of her fellow students. She arranges a meetup between Colin and Maria, hoping sparks will begin to fly. They do. Opposites obviously attract. Everything is going swimmingly between the two until a person from Maria’s past pops up who may ruin it all. Their budding relationship is put to the test as Maria struggles to figure out who is doing these horrible things to her. Colin also has to work through his anger issues and his protective instincts to put Maria’s wishes and well-being first. Despite my reticence, I actually enjoyed this book. The story pulled me in and I found myself rooting for the characters. I also was not able to predict how the story would end, which is a major positive in my book. Adrift after graduating from Harvard and rejecting the demands of his Orthodox Jewish upbringing, Avi Steinberg stumbles into a job running the library in a tough Boston prison. Funny, heartbreaking, sometimes brutal, always human Running the Books is his memoir of his time spent among the inmates. The criminals that Avi encounters are complex – many of them are cruel and dangerous, but there is also an undercurrent of sadness, of lives devastated by poverty, abuse and violence. Hope for redemption for most is slim. And although he is completely unsuited to prison life, Avi attempts to reach out and make a difference – with decidedly mixed results. This book also works as an excellent memoir as Avi reflects on his own life and the choices he’s made. 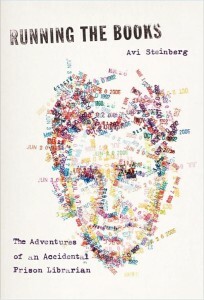 The humor is sardonic and Avi is not afraid to shine a light on his own failings. It’s also a great study of the library as central to a community and to the humans, imperfect and lost, that use it.